That may be the best translation of a costume from comic book-to-big screen that I've ever seen. Looks spot-on perfect. How are they going to handle Deadpool's legendary mouth? Lots of fans demanding a hard R rating, noting that PG-13 won't cut it. One idea I heard a few weeks ago was that for almost the entire movie there could be a white word balloon with "&$*#" whenever Deadpool uses profanity. That Deadpool would be aware of it just like in the comics. And that they save the big "F-bomb" for a critical spot in the story. I could accept that. 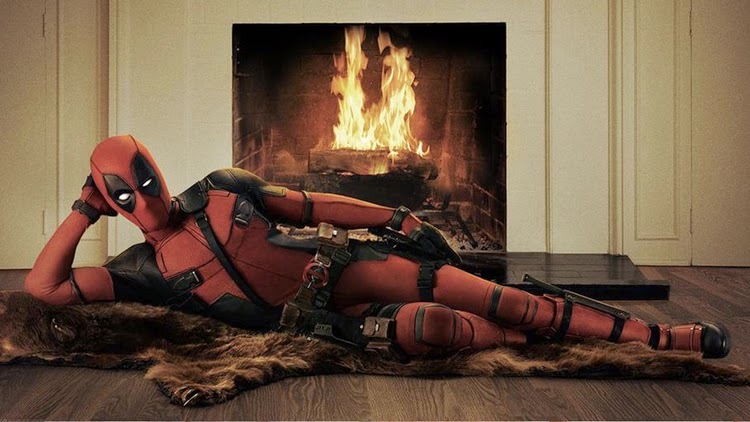 Deadpool arrives in theaters next February.